There are many perks to living in the US: Google services availability, frequent Amazon deals, lower tech prices (on average), and the fact that many tech companies are based there, meaning you never have to worry about plugs and voltages when buying your gadgets. Cross the Atlantic and the story gets a bit more complicated. 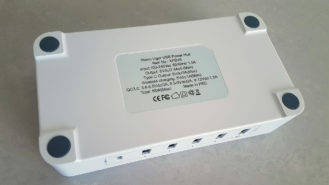 Each time we, the poor souls living in Europe and countries that follow the European electricity standards, want to buy something new that isn't officially available for us, we have to make sure it works on 220-240V and that as a bonus, it has an EU plug so we don't have to use a small adapter that will add weight and could cause the whole thing to fall off the wall at any time. One example is chargers, which have been a pet-peeve of mine for the longest time. Qualcomm announces QC 2.0 and it's nay impossible to find a charger with an EU plug that supports it for months. Same with QC 3.0. 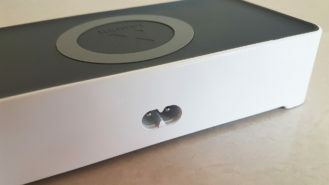 Same with USB-C. We have to wait and when the products finally come, they often cost twice, maybe even three times as much as the US equivalent. 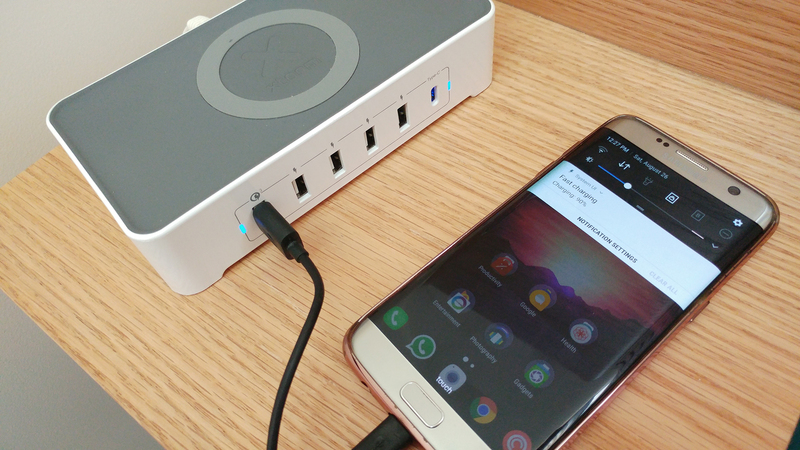 You've probably heard of Anker, Aukey, and Tronsmart: they all make EU-compatible chargers, but more competition is always welcome. That's why I was excited when I heard about a dutch brand called Xtorm. From the address, xtorm.eu, you know this is a company that focuses on the European market and I had to try it out. 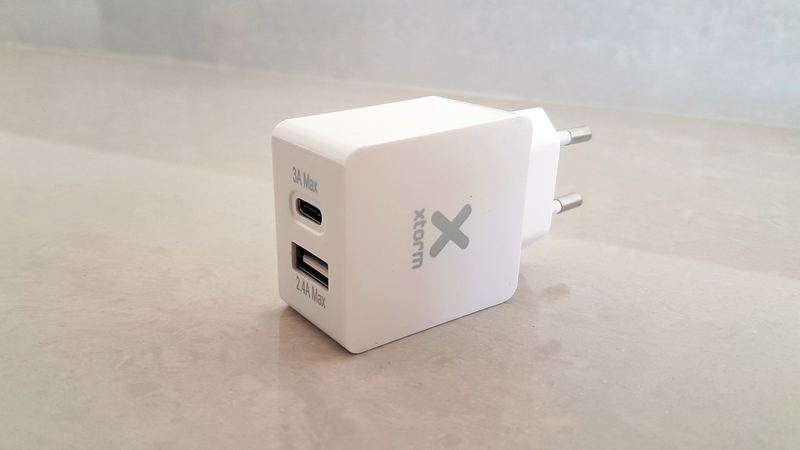 Xtorm ships to several countries around Europe and its products exist at several online and store retailers too. 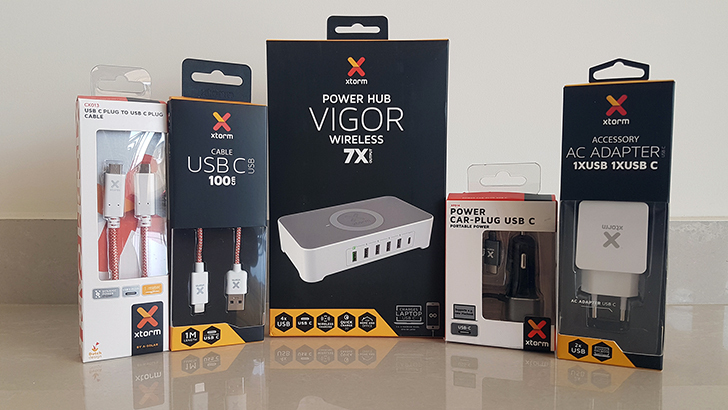 In the following review, I'll be taking a look at 5 of the company's USB-C products: the XPD16 Vigor power hub, CX018 dual port wall charger, XPD14 car charger, and two cables: the CX011 and CX013. I know Europe also includes the UK, which uses its own plug (and maybe other countries with a different plug/voltage standard too), but for the sake of brevity, I will use "Europe" and "European" in this post to denote countries that use the EU plug and 220V/240V. 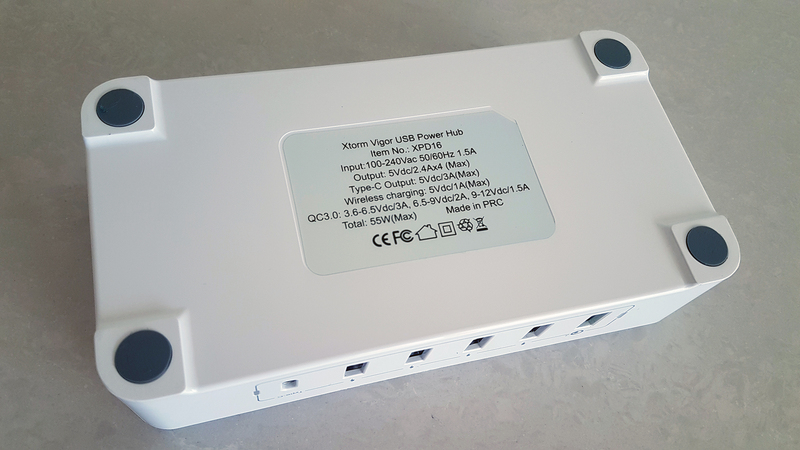 Now you may notice that some of those individual specs aren't top of the line, but I have yet to find any power hub that supports all 4 charging technologies together, especially one for the EU market. And unless you live on the fringe of technologies, which I realize many of our readers do, the versatility of having 4 different charging standards is super nice and outweighs the need for every standard to be at its top specs. 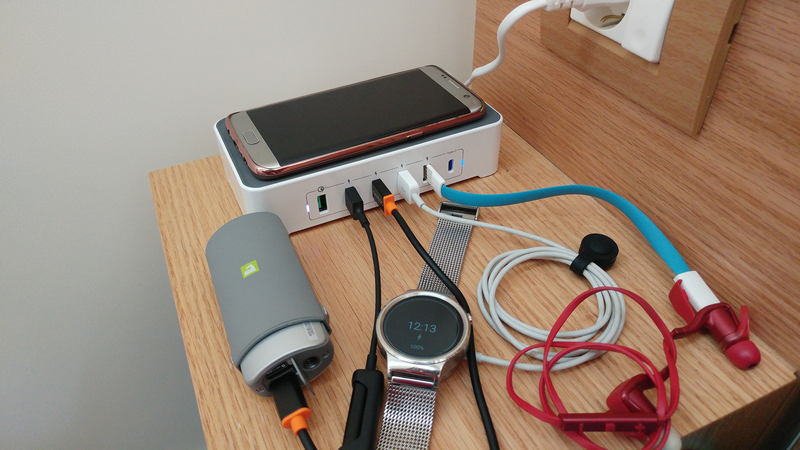 I have a teeny nightstand (30 x 25 cm) and since I work here at Android Police you can tell I'm a tech addict. I have a Galaxy S7 Edge, a Nexus 5X, a Galaxy Tab S2, a Huawei Watch, a Fitbit Alta HR and a Flex 2, a Plantronics BackBeat Go 2 headset, all of which I use constantly. Sometimes it's easy to juggle them off a dual-USB wall charger, but when they sync up their empty batteries (why does that happen so often? ), I have to take turns charging them. The Vigor solves that issue altogether, while still being able to fit on my nightstand. It's a quasi-miracle if you ask me. You can see the white cable that goes from the Vigor up into the large EU wall socket. Now imagine this without the hub. It's already a mess of cables and devices, it would even be worse. 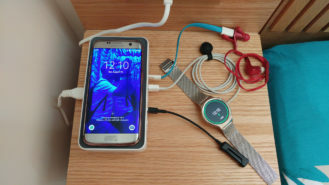 Normally I don't use all the ports simultaneously, so my regular night mode setup is more akin to the one below: S7 Edge on the wireless charger or on a regular USB / QC 3.0 port, Huawei Watch on a USB port, and depending on battery level, one of my Fitbits and/or my headset. It's easily manageable. As for the Vigor itself, there are a few things to note from my several weeks of testing. I like the wireless pad material on top and the rubber feet on the bottom. I also like that the two LED lights turn blue when something is plugged and the one on the left in the image above switches to purple when Qi charging is being used. They're not strong enough to disturb me at night and they're useful when I want to be sure that my S7 Edge is charging. The wireless pad's sides are also slightly curved up, meaning the phone lodges into it well and that works as a great guide for the Qi coil (coils maybe? I'm not sure). However, I'm not a huge fan of the build quality on the USB ports themselves. 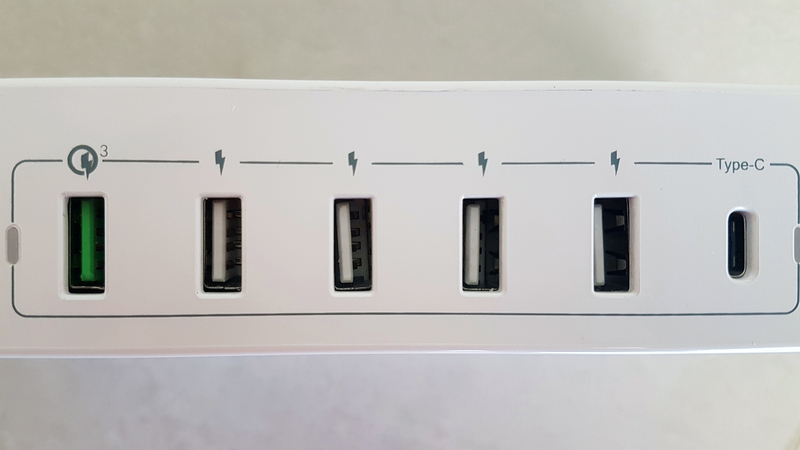 The finish is a little cheap and the USB ports aren't perfectly aligned with their opening, so for a couple of ports (the middle ones), I have to insert the cable at a certain angle first to force the port to align with it. It's not a deal-breaker and I often leave the cable plugged and not worry about it anyway. But for the price, I would have expected a better finish. Using the Vigor for several weeks, I can say that I didn't face any charging problems. 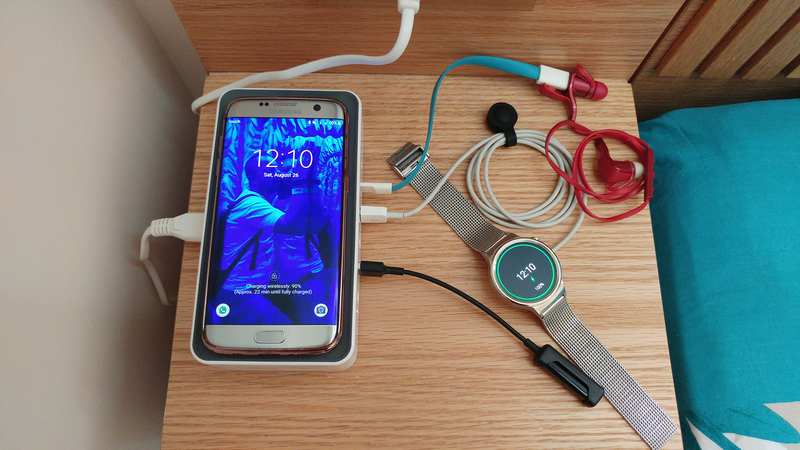 The QC 3.0 port works well for both my S7 Edge and I tested it with my husband's LG G5 as well, the USB-C port comes handy for charging my Nexus 5X (also tested with the LG G5), and wireless charging is handy when I want to plop down my S7 Edge at the end of a long day and not have to worry about plugging in a MicroUSB cable the right way while I'm drifting to sleep. Beside the build quality, I would have loved to see a few things on the Vigor. 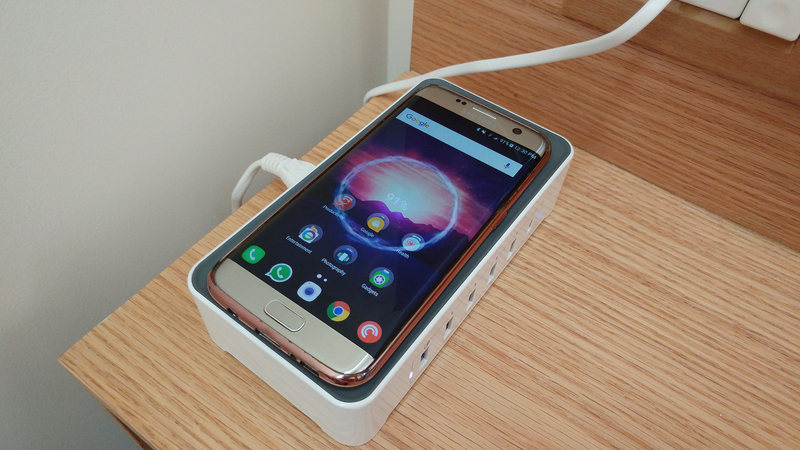 The wireless charging pad could be made just a little bigger (and hence the whole device too) to accommodate larger phones. 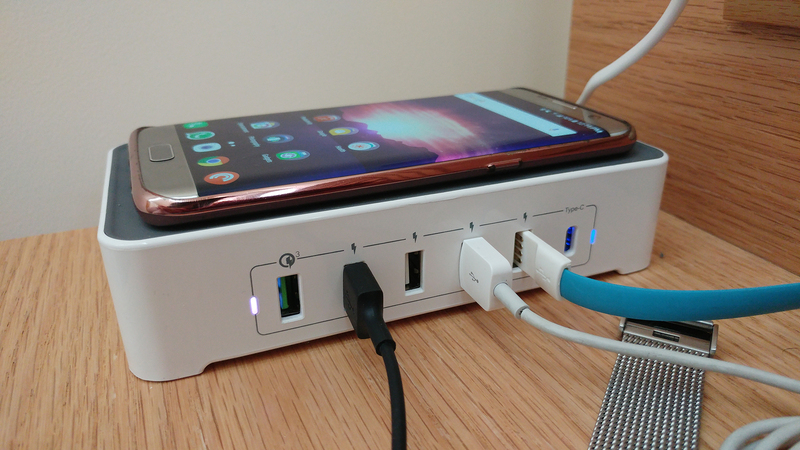 Plus, it'd be nice if there were 2 USB-C ports and if they were 3.1 compliant. It would also be nice if more than one USB port was QC 3.0. But I still come back to the matter of convenience and size. I haven't yet found any power hub that offers these 4 different types of charging together, and when you're using it on a nightstand, time isn't a constraint and speed isn't much of an issue so the slightly slower / less powerful specs won't affect you. The price will, though. This convenience and versatility will cost €69, not a sum to scoff at. It's won me over though and it's staying on my nightstand for the foreseeable future. 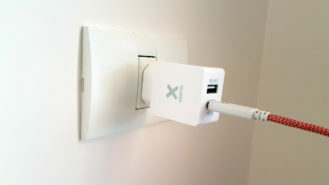 There's nothing distinctive about the CX018, it's one of those wall chargers with dual ports, but it comes with an EU plug on the back. USB charging goes up to 2.4A, which is good for modern Micro-USB phones and tablets, and other less power-hungry gadgets like wearables and headphones. 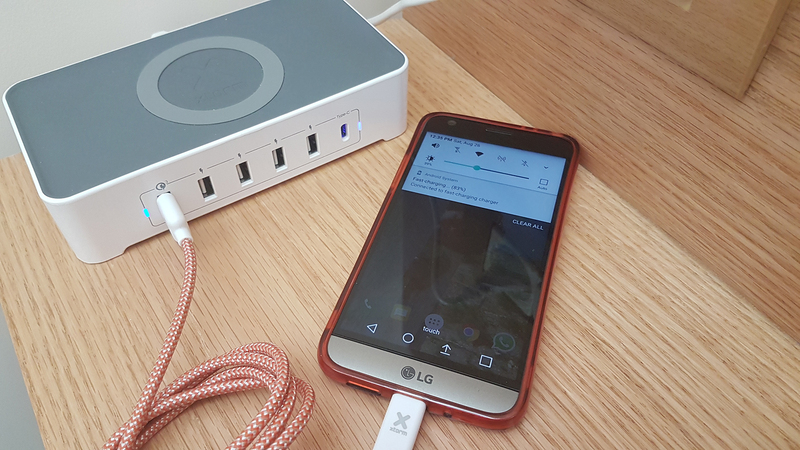 And the USB-C port worked well for my Nexus 5X, LG 360 Cam, and my husband's LG G5. The finish again was a little off here with the ports/openings alignment, but it was less so than on the Vigor. I will say this again: for the price, I would have expected better. But I did enjoy keeping this small wall charger in my gadget bag. 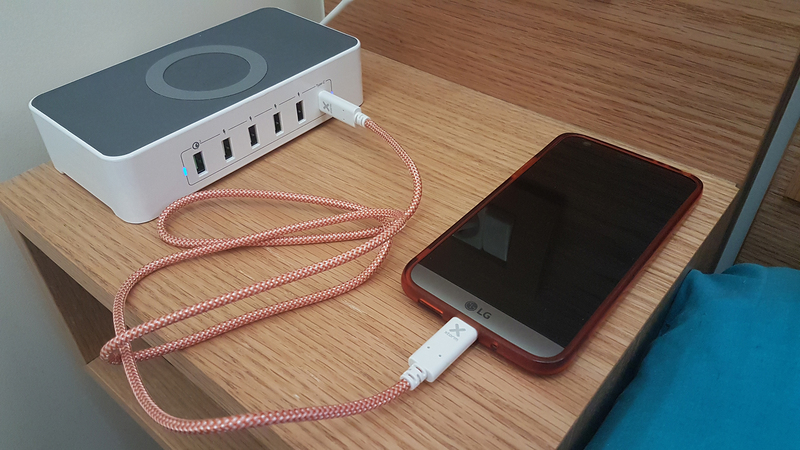 It worked well for an overnight stay at a hotel or at friends/relatives, so I didn't have to beg them for chargers or disconnect the Vigor from my nightstand. And it's also great for short trips. 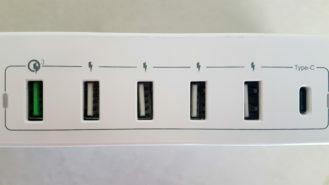 If I was traveling any longer, 2 ports wouldn't do the job for me, but they should for many users. This isn't restrictively a European product, but it was part of Xtorm's portfolio so I had to check it out. 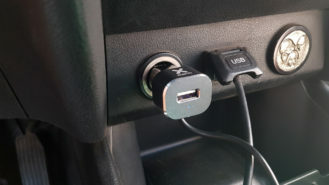 The ulterior motive, if you need to know, is that my husband has one car charger with one port, so each time we're going somewhere together, only one of us can charge their device at a time. You wouldn't believe how often we both have our phones reach <20% simultaneously, so it becomes a juggling war of which device to plug first. The XPD14 comes with one USB port on the front (5V/2.4A) but it also has one USB-C cable sticking out from the bottom (5V/3A). That way you can plug two devices simultaneously and you don't have to worry about buying a separate USB-C cable. There's also a blue LED light on the front that turns on when it's plugged in your car's cigarette lighter. In my tests, both my S7 Edge and my husband's G5 charged well and faster than they did with our old car USB charger. The build quality on this charger is great, with chamfered edges, a well aligned USB port, and good materials for the cigarette plug. 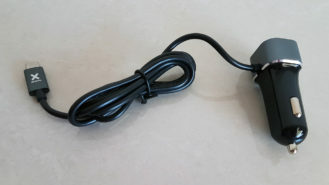 I would have loved the cable to be of a different and more sun-resistant material, because my past experience with similar cables taught me they crack when they're left in the heat and sun for several months. I haven't been testing this one long enough to see any damage and I can't be sure it will happen, but given that the cable is attached to the charger, I have some reservations about its long term resistance to sun and heat. And one more here, I look at the price and wonder: why is it so expensive? Alright now we come to the mind-bogglingly pricey cables from Xtorm. Although the build quality on both the A-to-C CX011 and the C-to-C CX013 is good, and the orange woven material feels nice and looks even better, I can't get over how expensive these are. 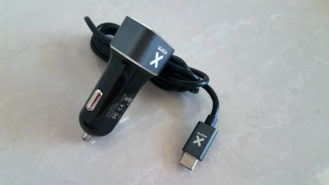 The 1m (3ft) USB A-to-C CX011 costs €15 and the C-to-C CX013 costs a whopping €27. Whoa. 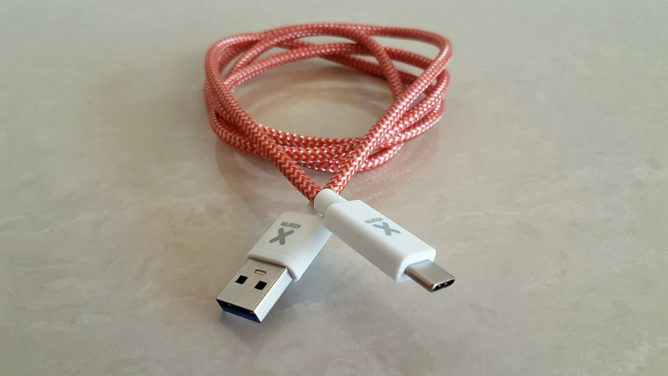 They work well, they look good, they feel sturdy, and all that, sure, but the price is just impossible to justify when similar cables can be bought for what... a fraction of the price? 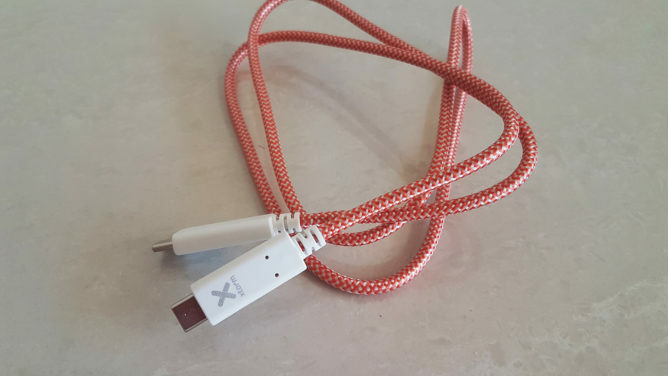 Given that these are just cables and aren't tied to any EU vs US plug/voltage limitation, it might as well be cheaper to buy a few cables from the US and ship them over to your country than it is to grab an Xtorm cable. Seriously, €27 for a cable?! 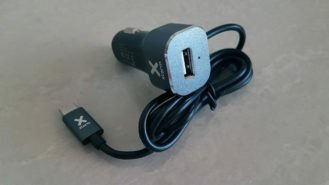 As I said in the beginning, finding good chargers with an EU plug that offer the latest charging technologies is often an exercise in frustration. Finding ones that are cheap is almost impossible. This state of the market creates a vacuum in which Xtorm can exist. The company's products are nice, but that doesn't justify the prices. 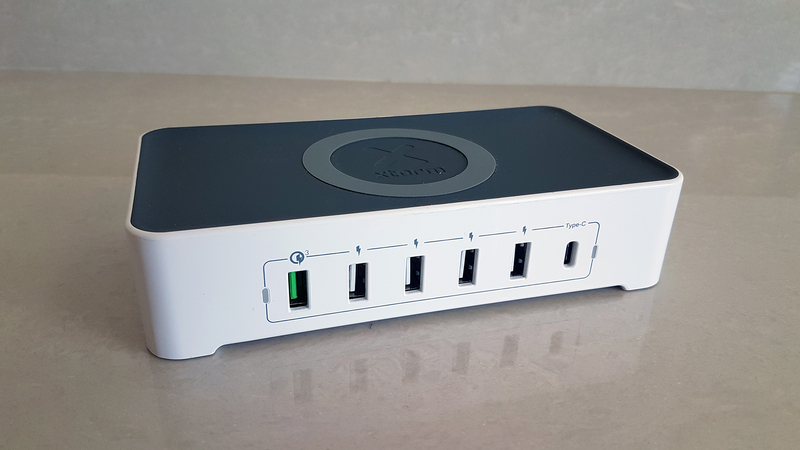 Of course I like the Vigor power hub more than any other product on this list because it's unique. Both Anker and Aukey make hubs with USB-C, but I have yet to come across a hub from them or other brands that offers USB, USB-C, QC 3.0 and Qi in one. The Vigor satisfies that although it doesn't have the most recent or the fastest specs all around. It's so damn convenient too when you're constrained on space. 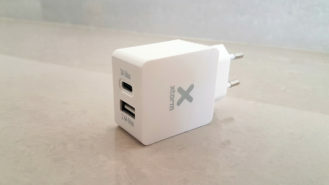 However, the CX018 wall charger isn't unique and it's hard to justify its €27 price when Aukey has a similar offering with an EU plug for €16. The same goes for the XPD14 car charger, where a quick search turned similar offerings from Spigen (looks the same), Tronsmart, and Aukey that cost somewhere between €11 and €15 on Amazon France, i.e. half of what Xtorm wants for its model. And let's not talk about the cables, because those go for €7-8 on Amazon in Europe from many respectable brands. I just don't understand why Xtorm had to charge double or triple. The tl;dr is this: Xtorm's products are good, though I have a few reservations about their finish. But the biggest problem is that the prices need to be revised to match the market. Even though it's hard to come by chargers with EU plugs at a US-like price, many companies like Anker, Aukey, and Tronsmart have their foothold in Europe and are starting to compete, which is driving the prices lower with time. Xtorm needs to at least be in the same ballpark as their prices to become an easy recommendation.